JOHN J. SUDA, age 86, of Greenwood, passed away on Friday, January 19, 2018 at the House of the Dove, in Marshfield. Funeral services will be held at 11am on Wednesday, January 24, 2018 at St. Mary’s Catholic Church, in Greenwood. Rev. Steve Brice will officiate and burial of cremains will follow in St. Mary’s Catholic Cemetery. Visitation will be held at the church, on Tuesday, January 23, 2018 from 5pm to 8pm, and again on Wednesday, from 10am until time of service. John Joseph Suda was born May 1, 1931, near Greenwood, WI, to Anthony “Tony” and Anna (Kaucnik) Suda. He was the second of four sons. His eight grades of school never slowed his accomplishments, which allowed him to work in Kansas and South Dakota. John enlisted in the U.S. Army, adding to his adventures. He was united in marriage to Lois Klemetson on June 11, 1958 at St. Louis Catholic Church in Dorchester, WI. They owned and operated a dairy farm in Clark County for more than 20 years. He was the father of five children and one foster child: Wendy, Wanda, Dawn, Wayne, Rene and Elaine. In 1977, the passion of farming came to an end, and the lure of the mountains and hunting led John and his family to seek a better life out west. They purchased the Stagecoach Motor Inn, a 28-unit motel nestled in downtown Dubois, WY. Not only did they improve and expand the motel, he started a mountain-hunting outfitting business. Their sons later took over these two businesses. While in Wyoming, he purchased real estate to help his children with their success, and eventually built a beautiful retirement home. 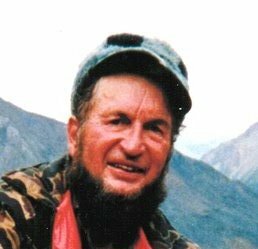 His outfitting business, along with his own personal hunting, continued to grow. John successfully harvested every North American animal, with the exception of the Alaskan moose and polar bear. The mounts can be viewed at Cabela’s in Sandpoint, ID. Winters were spent with his wife, in Arizona. John enjoyed fishing for crappie in Lake Roosevelt and exploring the dessert back country on his ATV. Every June, John would spend 10 days fishing the northern Canadian waters with close friends, children, and grandchildren. In 2007, John and Lois moved back to their home town of Greenwood, WI, to enjoy their cabin on the Black River, hunt for whitetail on their property, and enjoy friends of long ago. John has put smiles on many people throughout his years. He is survived by his wife, Lois, of almost 60 years; his children: Wendy (Jose) Herrera of Brooklyn Center, MN, Wanda (Chris) Wonson West Newfield, ME, Dawn Anderson of Rock Springs, WY, Wayne (Kim) Suda of Dubois, WY, Rene (Debbie) Suda Dubois, WY, and foster daughter: Elaine (Gerry) Bohn of Milwaukee; 13 grandchildren; 11 great-grandchildren; his favorite in-laws: Annie & Larry Johnson; and his close friends: Hubie Pischel, Dale Thomas, Ron Arndorfer, John Raymond, Frank Pekol, Chuck Clifford, Jim Kurasz, John Wirth, & Jim Rice.